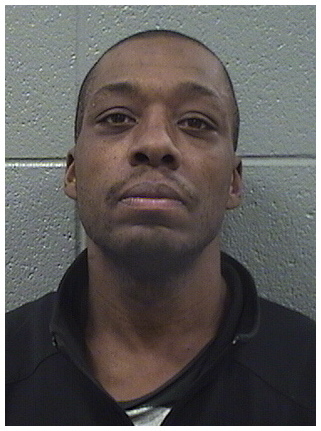 Larry Banks, 45, was sentenced to 14-years in prison for burglarizing a restaurant in the 4800 block of North Broadway in 2011. He served half that time before authorities let him go early for “good behavior" last May. Now, Banks is back in jail, accused of burglarizing another restaurant in Uptown on Jan. 4th. Police said a fingerprint left at the scene led to Banks’ identification. Patrol officers who knew he was wanted in connection with the burglary of Little India, 1109 West Bryn Mawr, saw Banks walking in the 4900 block of North Kenmore and took him into custody. Prosecutors charged him with felony burglary. Judge David Navarro said he can go free on a recognizance bond in the new burglary charge if the state does not revoke his parole. Banks is in jail awaiting the state’s decision, according to public records. Prior to catching the 14-year sentence in 2011, Banks had been sentenced to two terms of 30-months for theft in 2009; 18 months for damage to school property in 2009; three years for narcotics in 2007; two years for narcotics in 2005; 4-1/2 years for theft from a person in 2002; four years for burglary in 1999; seven years for narcotics in 1996; 28 months for narcotics in 1995; and five years for narcotics in 1992. Original reporting that you’ll see nowhere else. Donate $49 or more to our operating fund and you’ll receive a year’s worth of exclusive reports and services.